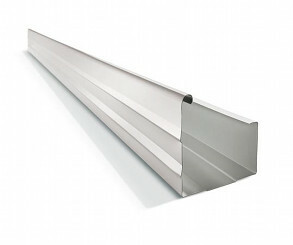 The VF (Vertical Fascia) Gutter has been specifically designed for verandah and carport applications. It has an attractive square front and a unique fold at the back of the gutter that enables it to be easily secured underneath the roof sheeting. All Type Roofing, Guttering & Verandahs are specialists in creating top quality verandahs with only the best guttering options. As we’re one of only two Stratco Authorised Guttering Dealers in South Australia, we know which gutter is going to best suit your home or verandah.